A court case opposing an increase in the county's real estate tax rate is moving forward, and the men filing the lawsuit want public awareness and support for their cause. UPPER MARLBORO, Md. — A court case opposing higher taxes in Prince George’s County is moving forward, and the men filing the lawsuit want public awareness and support for their cause. Fred Price Jr. and James K. Wass believe the 4 cent increase in the county’s real estate tax rate approved in 2015 violated the county charter’s Tax Reform Initiative by Marylanders, or TRIM, because it happened without voter approval. 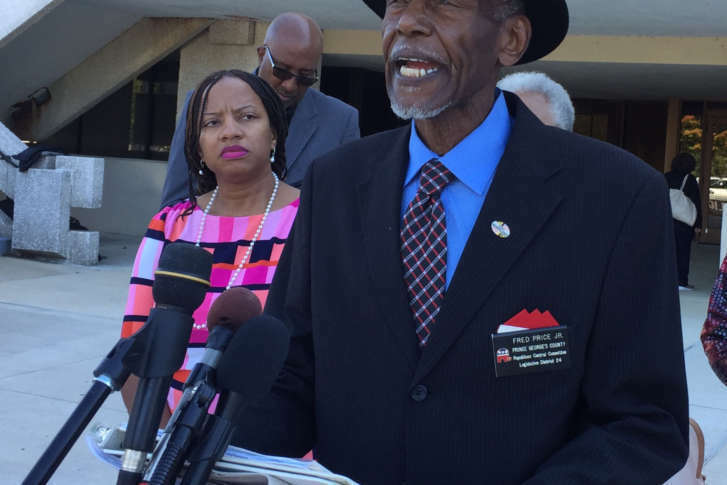 Price had filed the lawsuit against Prince George’s County with fellow Republican Party Central Committee member Wass. The lawsuit appeals to have the 2015 tax increase placed on the 2018 ballot as a referendum. Although the suit was initially filed in September 2016, it was amended earlier this year and rulings on various motions have occurred in recent weeks. “Because the court has rejected all of the motions to dismiss filed by the county, that tells me that we have a legitimate case on hand,” said Tamara Davis Brown of Prince George’s Tax Watch. The county is confident the courts will find it acted lawfully, a county spokesman said. “The property tax increase that was implemented and voted on by the Prince George’s County Council was done in accordance to state law, which allows for property tax increases in jurisdictions that have tax caps, as long as it is restricted to funding education,” said Scott Peterson, spokesman for Prince George’s County Executive Rushern Baker. Peterson said Maryland’s attorney general ruled that the tax rate increase was done lawfully under Senate Bill 848 that established TRIM. White acknowledged that rising property values are partly responsible for him paying more, but said rolling back the tax increase would lighten his burden. The case is next expected in Prince George’s Circuit Court on Wednesday, Dec. 13.